Interesting Facts: The latest buzz of Tollywood is that he has married someone and privately taking care of her. The rumour also point that J.D being single in public is going to marry again. Trivia: The star is a multitalented personality who acts, directs produces both in Bollywood and South Indian film industry. Awards: J. D. Chakravarthy got Screen Award Special Jury Award (1999) for Satya (1998). Biography: J. D. was born to carnatic singer Dr. Santha Kovela Nagulapati and Suryanarayana Rao Nagulapati in a Telegu Brahim family. His schooling was done in St. George’s Grammer School and B.E from CBIT, Hyderabad. His debut was with Ram Gopal Verma’s Telegu debut film Siva (1989). He also did a supporting role in Ennodishtam Koodamo (1992), a Malayalam movie before he devoted his time to mentor Ram Gopal Verma. Chakravarty’s first Hindi debut was Satya (1998) that was critically acclaimed Blockbuster and brought him more films. 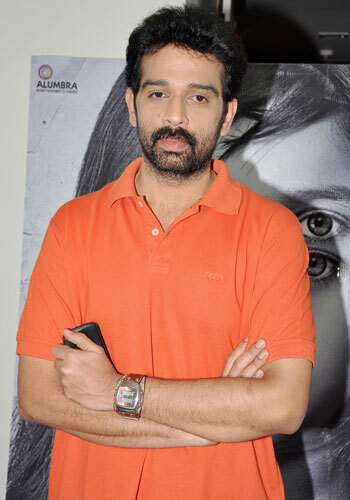 He returned to Telegu films with Homama (2008). His other Telegu films are Dubai Seenu (2007), Kaasi (2004), All The Best (2012), Money More Money (2011), Josh (2009), Madhyanam Hathya (2004), Premaku Suvagatham (2002), Nauvvuthu Bathakalira (2001), Soori (2001), Maa Pelliki Randi (2001), Pape Naa Pranam (2000), Kodanda Ramudu (2000), Premaku Velayara (1999), Harishchandraa (1999), Wife Of V.Varaprasad (1998), Nenu Premisthunnanu (1998), Egire Paavurama (1997), Bombay Priyudu (1996), Anaganaga Oka Roju (1997), Deyyam (1996), Mrugam (1996), Gulabi (1996), Money (1993), Money Money (1995), One By Two (1993), Siva (1989), Neti Siddhartha (1990). His upcoming Telegu flick Black Money and is about to release this month. J. D.’s hindi films include Shiva (1990), Satya (1998), Dhurga (2002), Vaastu Shastra (2004), Aag (2007). His upcoming hindi flick is Bhoot Returns with Manisha Koirala and is about to release on October 12 this year. His Tamil films are Kacheri Arambam (2010), Sarvam (2009), Kannathil Muthamittal (2002). His Tamil upcoming movie is Samaran which is about to release this October. The multi linguistic actor’s only Kannada movie is Kontract and is hoped to release on December this year. He not only poses as an actor but also as a director in movies All The Best (2012), Money More Money (2011), Sidham (2009), Homam (2008), Darwaaza Bandh Rakho (2006), Darna Zaroori Hai (2006), Dhurga (2002). He has also produced the film Dhurga (2002). The star did playback singing in Money Money (1995) and worked as associate editor in Satya (1998). Thus J. D. Chakravarthy proves the title star attached to him. Bhoot Returns Trailer feat. Manisha Koirala, J.D.